In this customer satisfaction survey report, we’re covering important details and information related to the Taco Bell survey. You’ll find information about the survey eligibility requirements and rewards, a step-by-step walkthrough of the survey process, and other helpful information about the Taco Bell customer feedback survey. In order to participate in the Taco Bell survey sweepstakes and gain an entry into the prize drawing, you must meet the following requirements. You must be a legal resident of the U.S. 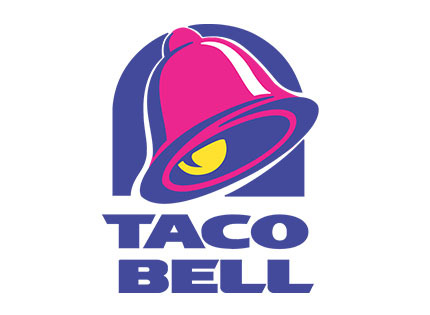 Participants cannot work for Taco Bell or any of its partners. Neither can any of your family or household members. When you take the Taco Bell customer feedback survey, you’ll be automatically entered into a drawing to win $500 in the form of a check. Prizes are mailed out to winners within six to eight weeks of claiming their prize. Each survey period will result in four winners of $500 each. The Taco Bell survey sweepstakes runs monthly, and you can enter to win each month. To start answering survey questions, head to the official Taco Bell website for surveys. In the bottom right corner of the page, there is an option to access the survey in Spanish. If you have a Taco Bell survey code on your receipt, enter it in the boxes provided. For help locating the code, reference the image on the right-hand side of the page. If your receipt does not include a survey code, use the link below the code boxes to navigate to the correct page. Afterward, enter the store number, date, and time printed on your receipt. Again, a helpful image will pop up on the right-hand side of the page to guide you. Rate your experience with a few important parts of your Taco Bell visit: The appearance of your food, how quick your service was, how friendly the employees were, how satisfied you were with your portion size, how clean the restaurant was, and how accurate your order ended up being. Click “Next”. You’ll now be asked if you run into any problems during your Taco Bell visit. If you answer “Yes,” you’ll be asked for more details. Answer a few questions about the menu items you purchased at Taco Bell. Finally, you will be offered the opportunity to enter the Taco Bell survey sweepstakes. Click “Yes” and then “Next” to navigate to the entry form. To enter the sweepstakes, fill out your name and your phone number. Click “Next” to submit your information and claim your Taco Bell sweepstakes entry. You can view a list of Taco Bell survey winners at any time. For more information about the Taco Bell survey sweepstakes rules, read through the official Taco Bell sweepstakes rules document. If you are selected as a Taco Bell survey sweepstakes winner, you will be notified by phone. In the case that you are unable to answer the phone call, a Taco Bell representative will leave a message with instructions. You must respond to this message within three business days. Otherwise, your prize will be passed along to the next winner. There is an accessibility-friendly version of the survey that you can use by selecting the option on the home page of the survey. For each entry period of the Taco Bell survey sweepstakes, you are allowed one entry. If multiple people in the same family or household enter the Taco Bell survey sweepstakes, only one prize will be allowed per family. To speak with a member of the Taco Bell customer support team, you can use the Taco Bell contact form on their website. Specify in the form comment whether you’d like a phone or email reply. You can also reach out to Taco Bell through their Taco Bell Facebook page and Taco Bell Twitter profile accounts. The existence of an online Taco Bell survey form has a dual side. On the one hand, you get the chance to win a monetary prize. On the other hand, the company gets to hear your feedback regarding their services and improve their business accordingly. If you’ve successfully completed the survey, let us know your thoughts on the process in the comment section below!